Come join us at the farm for our weekly Youth Garden activities. Every Saturday the whole family can enjoy gardening, crafting, and learning together in the Youth Garden. 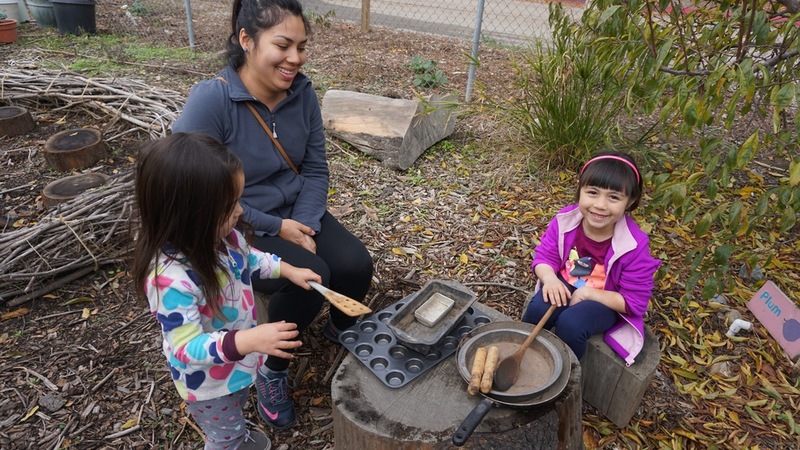 Participating in our Youth Garden activities is a great way to spend time with your children while exploring the garden, learning about healthy lifestyle choices, and discovering the exciting processes of the natural world - not to mention making new friends! This is a unique opportunity to get your hands dirty and become better stewards of the environment as a family. Families visiting the Youth Garden should have a 2:1 child to adult ratio for ages 3-6, and a 3:1 ratio for ages 7 and up. Join us for some gardening. Activities may include weeding, watering, planting seeds, composting, et cetera. This is a great opportunity to learn about the plants growing in our garden and how we care for them. We have some fun lessons and crafts in store for the whole family! We’ll get creative, explore, and learn while having fun in the garden. We’ll clean up in the garden and harvest some greens to feed our chickens. You’re welcome to feed the chickens some tasty greens from the garden, hold a chicken, and help us look for eggs. PLANNING ON VISITING AS A GROUP? We welcome groups to explore the Youth Garden the First Saturday of every month! Parents and kids of all ages are invited to tour the garden, get to know our staff, and learn ways to plug in to Veggielution programs. The Youth Garden does not host group visits with guided activities. A Veggielution staff member is in the garden on Saturday mornings from 10:00am-12:30pm. To ensure a safe and fun experience for everyone, please have a 2:1 child to adult ratio for ages 0-6, and 3:1 for ages 7 and up. Joining us for our Youth Garden activities is free of cost. Donations are gladly accepted for supplies and resources! All parents or guardians must fill out a liability waiver for themselves and for each child accompanying them. Feel free to print and fill out the liability waiver ahead of time, or fill out the waiver when you sign-in at the Youth Garden. The Youth Garden does not offer service hours for students. We look forward to exploring and discovering with you and your children out at the farm!